On The Muppet Show, Miss Piggy was obsessed with Kermit the Frog. But Piggy, her modern incarnation on Disney Junior's Muppet Babies, is BFFs with Summer, a laid back, creative penguin. From Roseanne to Will & Grace to Star Trek: Discovery – television is utterly awash in reboots. It's good business to bring back shows with loyal fan bases. 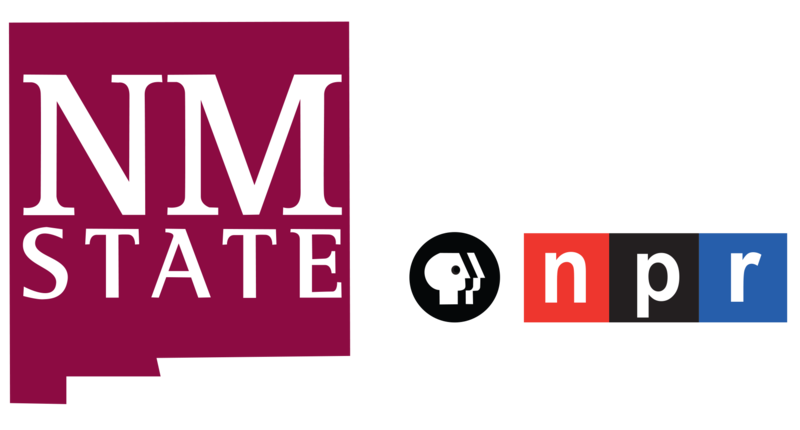 Parents or grandparents are eager to revisit favorite programs, and share them with a burgeoning new generation of potential fans. But rebooting shows aimed toward young people often means updating friendships between female characters. Remember Miss Piggy, on The Muppet Show? Do you remember her having any female friends? The flamboyant character was defined by her single-minded romantic obsession with Kermit the Frog. So when Disney Junior rebooted the 1980s spinoff, Muppet Babies, producers introduced a new character to be a best friend for Piggy. She's a laid-back, creative penguin named Summer. "Surprise, Piggy! I made your crown!" crows voice actor Jessica DiCicco, in a recording studio in Burbank Calif.
"Ooh, thank you, Summer," coos Melanie Harrison, as Piggy. "Moi loves it even more because you made it." Piggy (whose name has been updated from Miss Piggy) is the character's name in Muppet Babies, a show that's a cable hit among its target demographic of children ages two to five. Updating Piggy for the age of girl power presented something of a challenge. "Piggy is that person who's a little bit about herself," explains Debbie McClellan, vice president of The Muppets Studio, sitting with Muppet Babies producers one springtime afternoon." "A little?!" interjects Tom Warburton, the show's executive producer, with a laugh. He quickly adds that Piggy's self-centeredness and impatience is part of what makes her a recognizable — and even relatable — child character. "Piggy is her bold and brash self," he explains. "And she is obviously the boss of the playroom. She is completely welcoming to another girl coming in ... as long as she knows who's in charge." Producer Sarah Schechter's given this topic plenty of thought. "I don't know how you could ever tell a story about a female character in 2018 who isn't friends with other girls," she tells NPR over the phone from Canada, where she's producing an upcoming show called Chilling Adventures of Sabrina for Netflix. Schechter helped revamp two big pieces of intellectual property featuring female friendships that, in earlier iterations, could generously be described as underdeveloped. The current TV series Supergirl and Riverdale both feature complex, believable friendships between the main characters. Riverdale is based on the Archie comic books. But in the live action reboot, Betty and Veronica show less interest in competing for a certain red-headed hunk than dropping references to the Bechdel Test, the September Issue of Vogue and the novel Forever, by Judy Blume. When they fight, it's not over Archie. It's when they disappoint each other, like at a party, when Betty gets mad at Veronica for trying out a drug. "You know, it's not about avoiding conflict," Schechter said. "We want to give them life and firmly place them in the present." Schechter says exploring female friendship is essential to updating older intellectual property. Even in an episode when Betty and Veronica kiss she says — well, high school girls sometimes do. The point is showing friendships between girls that are competitive, supportive, freighted, fun ... and above all, believable. Reboots are all over television right now from "Roseanne" to "Will And Grace." But updating a show that's aimed at children and teenagers often means reworking the friendship between female characters. NPR's Neda Ulaby has more. NEDA ULABY, BYLINE: Let's take "The Muppet Show..."
ULABY: ...Just one piece of tasty intellectual property recyclable over and over to new generations. But one of its most iconic characters is a bit of a throwback. FRANK OZ: (As Miss Piggy) Oh, it's Kermit - my Kermit. Oh, oh. ULABY: Miss Piggy's romantic obsession with Kermit the Frog is hardly reciprocal, yet she pursues him relentlessly. OZ: (As Miss Piggy) Oh, Kermit, I will never leave your side until you have taken your last breath. ULABY: Miss Piggy saw the other lady character as competition. So when Disney Junior rebooted the 1980s spinoff "Muppet Babies," producers gave Piggy a new female best friend named Summer. DEBBIE MCCLELLAN: And then, Summer, give me that one more time at 1:43, please. 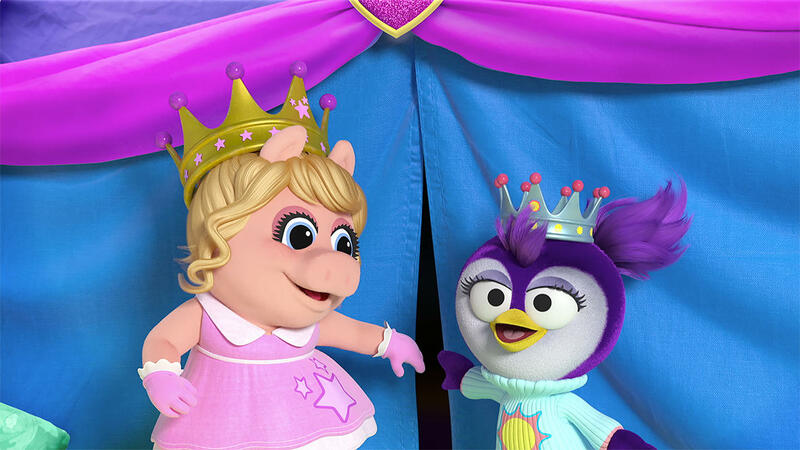 ULABY: At a recording studio in Burbank, Calif., voice actors played a scene between Piggy - she's just Piggy in the reboot - and Summer, a penguin who's just made her friend a present. JESSICA DICICCO: (As Summer) Surprise, Piggy. I made your crown. MELANIE HARRISON: (As Piggy) Oh, thank you, Summer. Moi loves it even more because you made it. ULABY: Even though these characters are kids, the producers of "Muppet Babies" admit that Piggy came with challenges. TOM WARBURTON: A little (laughter)? ULABY: Muppets Studio's executive Debbie McClellan and the show's executive producer, Tom Warburton, say that helps make Piggy a realistic little girl. WARBURTON: Piggy is her bold and brash self. And she is obviously the boss of the playroom. And she's completely welcoming to another girl coming to the playroom as long as she knows who's in charge. ULABY: Piggy is bossy and impatient. But Warburton says her friendship with another girl gives her more dimensions. WARBURTON: We have an episode where Piggy is a superhero. She calls herself Super Fabulous. She's making a superhero cape. And Summer says, hey. I want - can I be a superhero, too? And Piggy's a little bit like, wait. I'm the superhero in this room. There can't be two superheroes. ULABY: But, of course, there can be. And there's a kids show lesson about letting friends in on the fun. HARRISON: (As Piggy, singing) So let your friends in on the fun. UNIDENTIFIED ACTOR: (As character, singing) Let your friends in on the fun. SARAH SCHECHTER: I don't know how you could ever tell a story about a female character in 2018 who isn't friends with other girls. ULABY: Sarah Schechter has given this topic plenty of thought. She helped revamp two big pieces of intellectual property that featured less substantial female friendships in earlier iterations - "Supergirl" and "Riverdale," based on the "Archie" comic books. The animated "Archie Show" of the 1960s featured two girls competing for the red-headed hunk. JANE WEBB: (As Veronica Lodge) What a groovy dancer - groovy - and all mine, Betty. ULABY: In today's live-action reboot, Betty and Veronica sound more like this. CAMILA MENDES: (As Veronica Lodge) Betty, now that it's just us girls and at the risk of us failing the Bechdel test, are you legitimately cool with Archie and me? - swear on the September issue? LILI REINHART: (As Betty Cooper) And on my copy of "Forever" by Judy Blume. ULABY: Buried in that pile of references is the Bechdel test, cartoonist Alison Bechdel's test about whether female characters talk to each other about something other than a man. But "Riverdale's" writers do not idealize Betty and Veronica's revamped friendship. ULABY: When these teenage characters fight, it's not over Archie. It's over disappointing each other, like at a party when Betty gets mad at Veronica for trying out a drug. REINHART: (As Betty Cooper) You're just acting like some privileged, shallow, airhead, party girl. MENDES: (As Veronica Lodge) Excuse me? SCHECHTER: You know, it's not about avoiding conflict. But we want to give them life and firmly place them in the present. ULABY: Sarah Schechter says exploring female friendship is essential to updating older intellectual property. Even in an episode where Betty and Veronica kiss, she says, well, high-school girls sometimes do. The point is showing friendships between girls that are competitive, supportive, freighted, fun and, most of all, believable. Neda Ulaby, NPR News. Transcript provided by NPR, Copyright NPR.